I am pleased to announce that we have secured three outstanding officers to take up three new Deputy Commissioner positions and help drive the development and growth of Queensland Corrective Services. All three have extensive and broad ranging experience which will help us achieve our goal of being a forward-thinking top tier public safety agency. Each Deputy will be responsible for bodies of work which will plot a path to future readiness as a modern, sustainable and effective correctional organisation. Each will be responsible for driving a number of critical activities in coming months, and will be pivotal in delivering on the 10 Year Plan. The appointment of the three Deputy Commissioners is a key milestone for us, and I know you will make them welcome when they start in coming weeks. Andrew Beck comes to QCS with a wide range of international experience in custodial and security roles. Deputy Commissioner Beck started his career as a Royal Marine before moving into the UK Prison Service, first as prison officer, and then progressing to become the Governor of Nottingham Prison, before moving to the West Australian Department of Justice in 2004. During his time with the Department, he was the Assistant Commissioner for Community and Juvenile Justice Services and also assisted in the formation the new Department of Corrective Services as Deputy Commissioner Adult Custodial Operations. Following this he moved to Serco Australia, first as Director of Acacia Prison, and then Deputy Managing Director and Director Operations Justice and Health. Most recently he was consulting as General Manager Environment, Health, Safety and Security for the development of an underground gold mine in the Philippines. Andrew brings to QCS a wealth of operational and Senior Executive experience, both in the public and private sectors, with a strong focus on safety security and offender rehabilitation. He will be responsible for driving the Overcrowding and Infrastructure Implications Review and the Use of Force Review. With 36 years at Queensland Police Service, Paul has broad ranging experience with a strong community engagement and public safety focus. As Assistant Commissioner People Capability Command at QPS, he was responsible for Operational Skills Training Statewide, the Academies in Brisbane and Oxley, recruit training, Leadership development and recruiting, safety and well-being of officers. Previously he has led the Community Contact Command, which included triple zero responses and crime prevention. 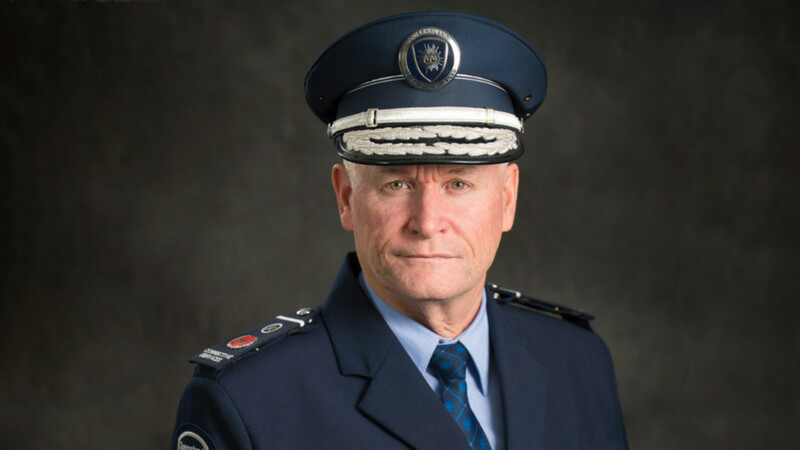 As Superintendent and Chief Superintendent, he worked in a range of commands including Operations Support Command which manages specialist services including Forensic Service and the Special Emergency Response Team (SERT) and Technology development. James Koulouris comes to us from NSW Department of Justice Corrective Services where he was the Assistant Commissioner Governance and Continuous Improvement. There he led the Operational Performance Review, Research Evaluation and Statistical branches, the Corrective Services NSW Academy, Coronial, Investigations and External Oversight unit, the Professional Standards Branch and the Business Continuity and Risk Management Unit, as well as Investigations and Staff Intelligence. Prior to that, Deputy Commissioner Koulouris was Director of Performance and Management at the NSW Department of Premier and Cabinet. I welcome the three Deputy Commissioners, and look forward to working with them.